Designed by Elvan Arolat in Brooklyn, Hang In There® is our first collection of practical and sustainable luxuries to enhance your life, not complicate it. Our signature reinforced keyhole will allow your towels to air dry on their hook. Soft, absorbent %100 Turkish cotton, produced in Turkey. This Gift Box includes a Wash Cloth, a Hand Towel, and a Bath Towel, all luxuriously soft, absorbent, and soothing to the skin. They are made from 100% Turkish cotton and woven in family-owned mills to ensure the highest quality. They feature the reinforced keyhole to hang securely on a hook. The signature Hang In There® message is jacquard woven with stone colored thread. The keyhole is reinforced with matching thread. 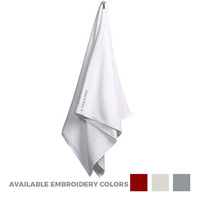 They can be used as daily hand towels in the home or in hotel rooms. 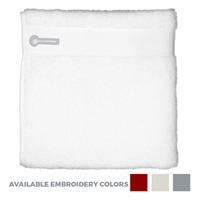 Each wash cloth measures 12” x 12” and features the reinforced keyhole to hang securely on a hook. The signature Hang In There® message is jacquard woven with sand colored thread. The keyhole is reinforced with matching thread. 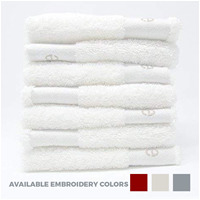 Soft and thick, these towels are both absorbent and soothing to the skin. 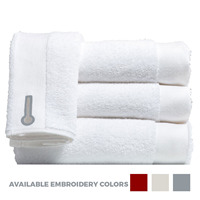 The Bath Towel measures 30″ x 58″ and features the reinforced keyhole to hang securely on a hook. 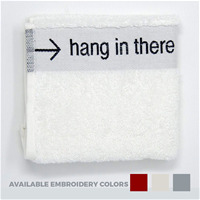 The signature Hang On There® message is jacquard woven with stone colored thread. The keyhole is reinforced with matching thread. These towels are both absorbent and soothing to delicate facial skin. The Face Towel measures 19”X30” and features the reinforced keyhole to hang securely on a hook. 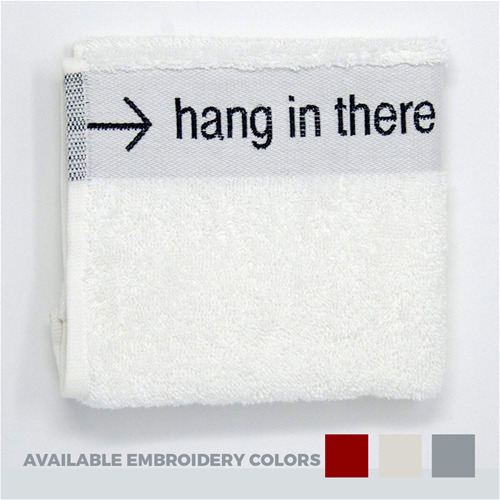 The signature Hang On There® message is jacquard woven with stone colored thread. The keyhole is reinforced with matching thread. 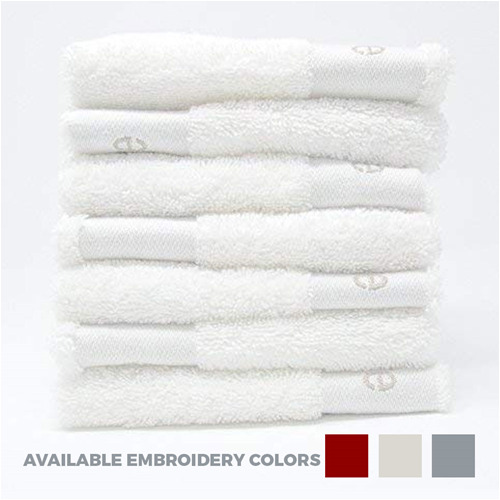 These towels are both absorbent and soothing to delicate facial skin. The Face Towel measures 12” x 12 and features the reinforced keyhole. The keyhole is reinforced with matching thread. The keyhole is reinforced with stone colored thread as well.